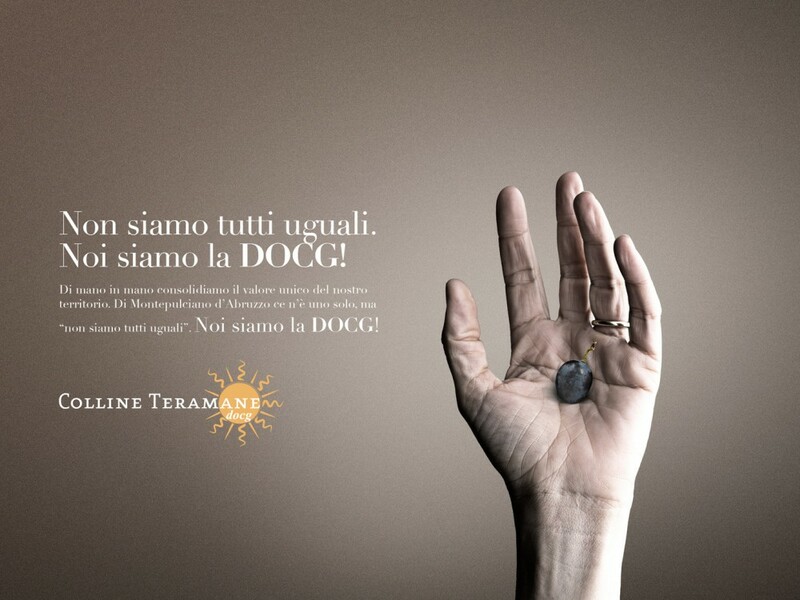 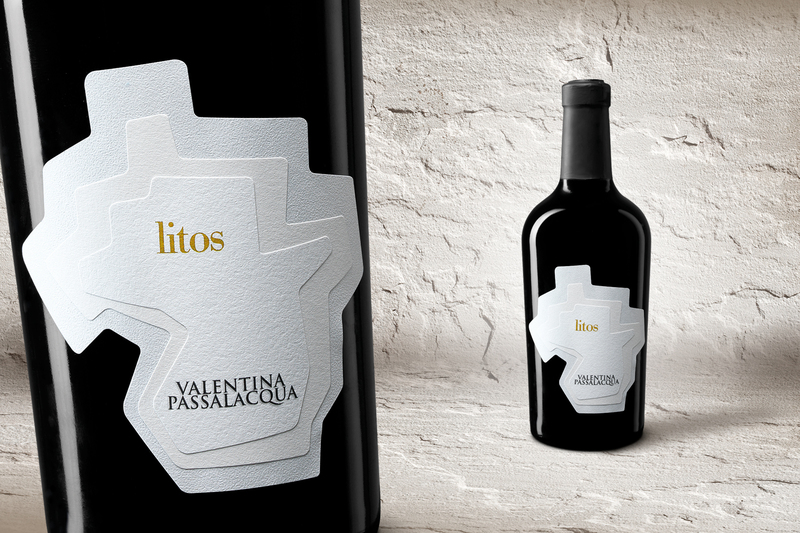 Valentina Passalacqua vineyards flourish and grow on a white stone subsoil. 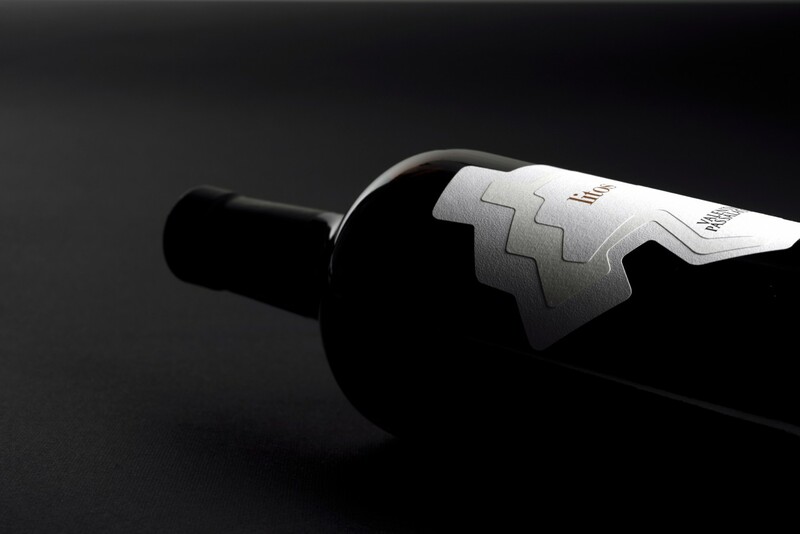 We decided to call this new line of wines Litos, which in Latin means ‘stone’. 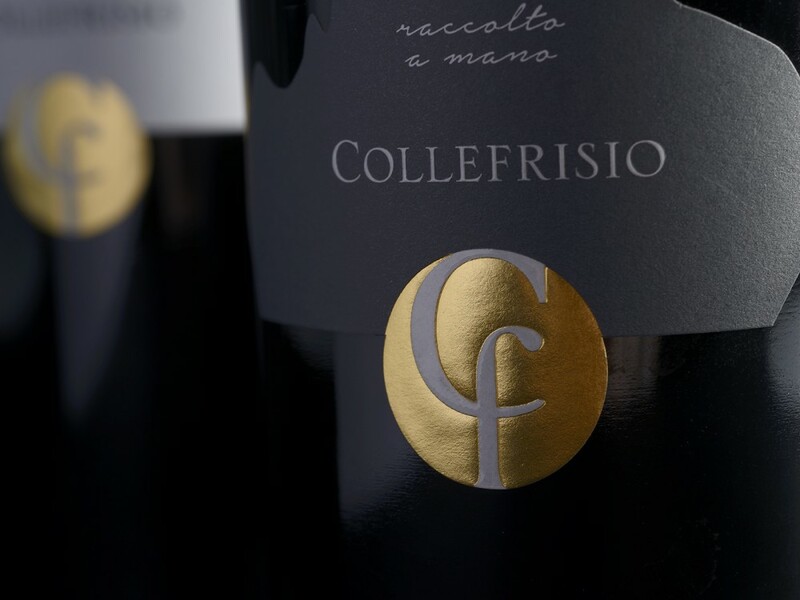 This label represents a true expression of this beautiful land of origin called Apricena, in the region of Apulia (Italy). 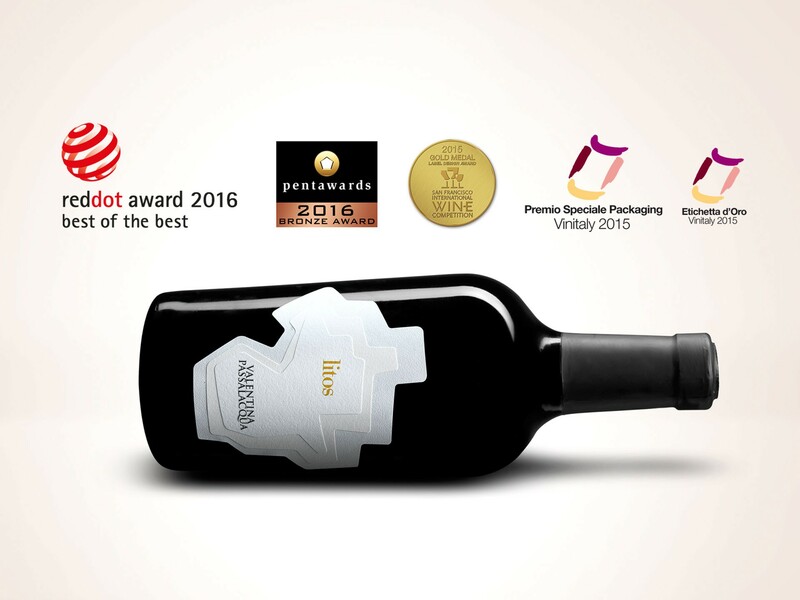 Being the fruit of organic vineyards, Litos is a completely natural wine and preserves the mineral features of a subsoil made of rock layers. 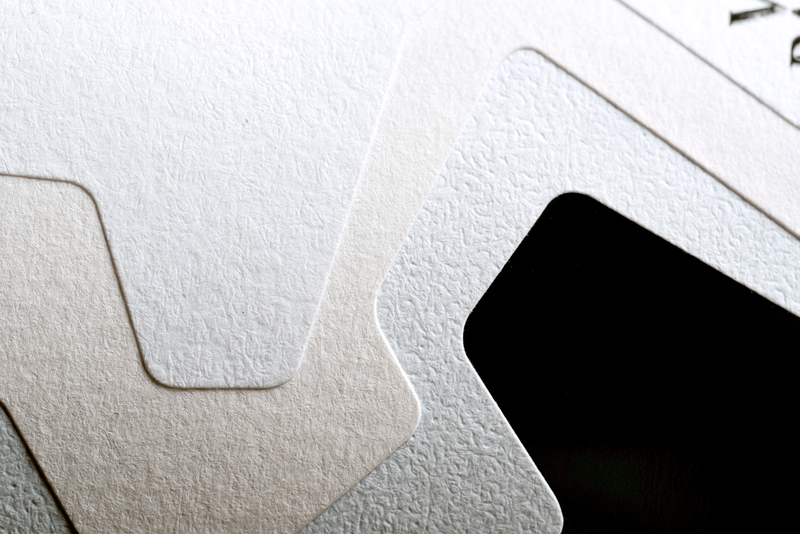 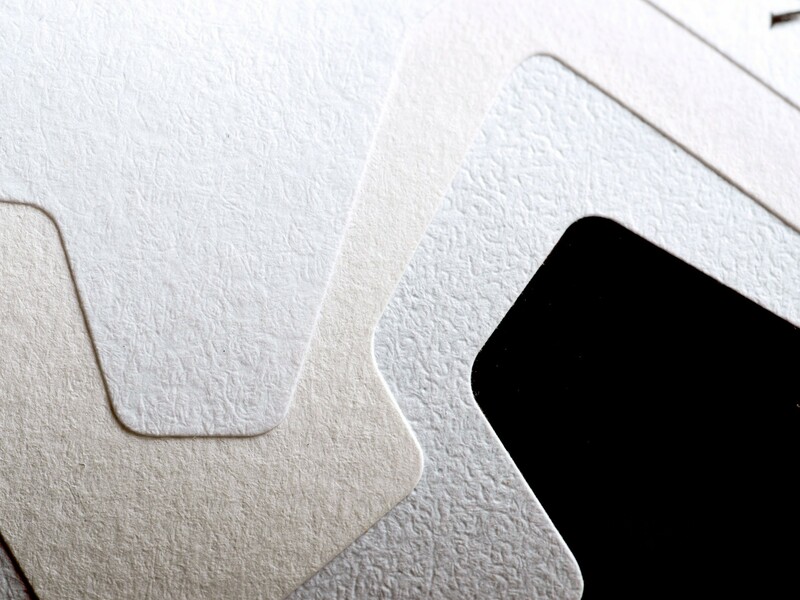 We decided to represent the rock stratification by using three different natural types of paper and three distinct shades of white, in order to give to the label an original and sophisticated look. 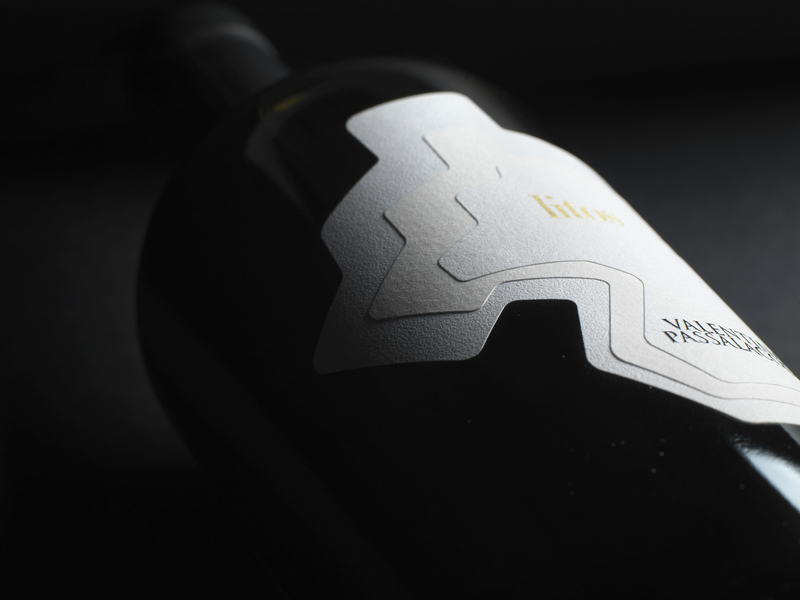 This in-depth research brought us to create, for the very first time, a self-adhesive packaging composed of three labels glued one on top of the other through an automated production directly realized by the label factory. 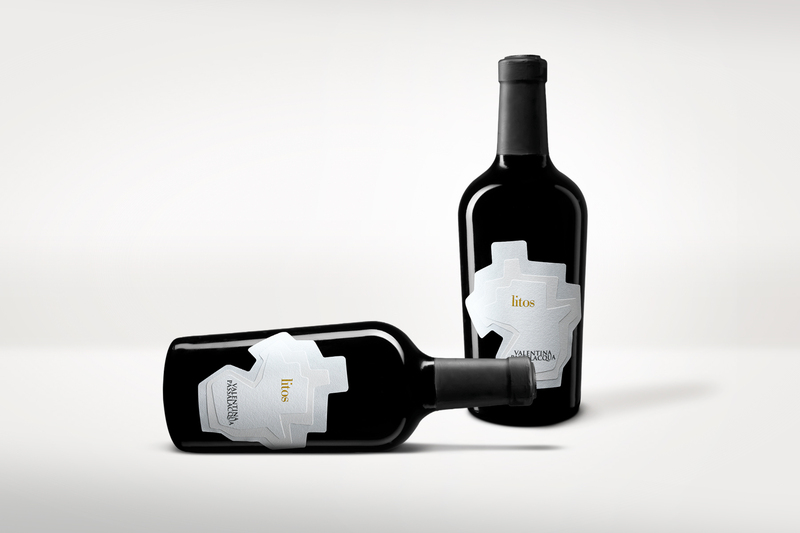 Thanks to this process we reduced the production costs and we manage to always obtain perfect and identical labels.